يوفر فندق Hotel Ibis Christchurch ظروف إقامة راقية وهو خيار رائج للسياح ولرجال الأعمال أيضاً. يقع في منطقة ثقافة, سياحة, تسوق من كرايستشرش. يقع مركز المدينة المثير على بعد 0.09 Km فقط. بالنسبة لمن يريد الخروج، هذه بعض المعالم السياحية المتوفرة للزوار Southern Encounter Aquarium & Kiwi House, ‪Flour Power - SCAPE Public Art‬, ‪Quake City‬. يعمل Hotel Ibis Christchurch على ضمان إقامة مريحة لضيوفه من خلال خدماته الممتازة وحسن ضيافته. يمكن الاستمتاع بمجموعة من الخدمات على أعلى المستويات في الفندق كمثل مكتب الاستقبال على مدار الساعة, مرافق مخصصة لذوي الاحتياجات الخاصة, تخزين الأمتعة, واي فاي في المناطق العامة, صف السيارات. ادخل إلى واحدة من الغرف 155 وتخلص من عناء نهار طويل بمساعدة مجموعة كبيرة من الخدمات كمثل تلفزيون بشاشة مسطحة, اتصال لاسلكي بالإنترنت, غرف لغير المدخنين, مكيف هواء, تدفئة الموجودة في بعض الغرف. إن مسار جولف - ضمن 3 كم هو المكان الأمثل في الفندق للاسترخاء وتفريغ طاقتك بعد نهار طويل. 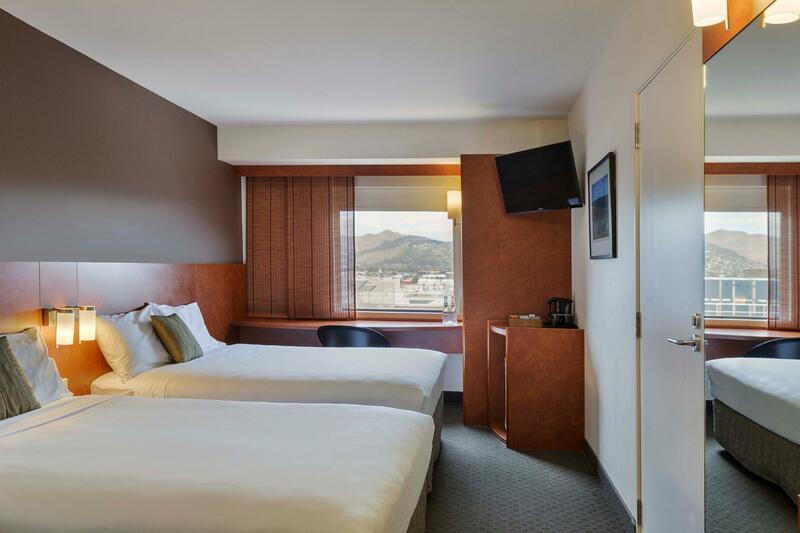 إن Hotel Ibis Christchurch هو خيارك لخدمة الفنادق الراقية في كرايستشرش. تتوفر صناديق ودائع الأمانات الخاصة بالفندق في الاستقبال. The hotel is located in the center of the town. We can walk to any places we want, supermarket, department store and cathedral. The staff at reception gave us good advice. All beds are fluffy and convenient. Nice room, good location. very quiet. Car park is a bit restricted at the moment, but there is a lot of rebuilding going on in Christchurch so that is understandable. Continental breakfast was way overpriced. Wifi was only available at the lobby. Nonetheless, had a great stay. Rooms were clean and comfortable. Staff were approachable and it was easy accessing the rest of Christchurch from the hotel by car. Great location - the hotel just right at the center of the city, friendly staffs which allow us for early check in & the room in good, clean and confortable condition. The only minus point is the hotel do not provide free car park for hotel guest and appearantly it's much more expensive than the open car park around that area. My suggestion is to use the open car park near by instead. 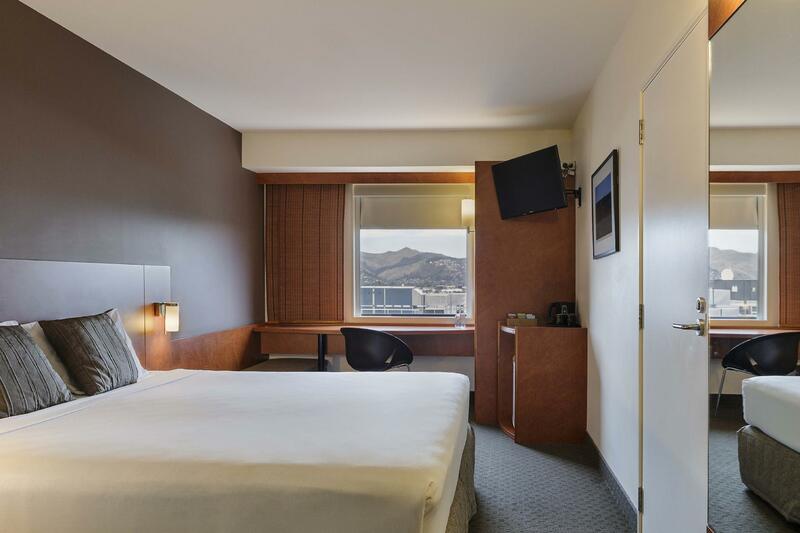 My husband and I spent a weekend at the Hotel Ibis in Christchurch and we had a pleasant stay. Check-in and check-out was so easy. Staff were friendly and attentive. Hotel room is just the right size. The location of the hotel is also good as it is very close to the Cathedral Square, the shops and the park. Location is in the city center nearby to restaurant and shopping. Hotel room although looks old but is clean enough. Bed also comfortable to sleep. Bathroom is a bit small but clean. Hotel staff very nice helping us to get a shuttle to our next hotel. Overall it is an enjoyable stay. Great hotel, lovely staff, clean & comfortable, but parking too expensive, can park for half the price down the road but shouldn't have to. 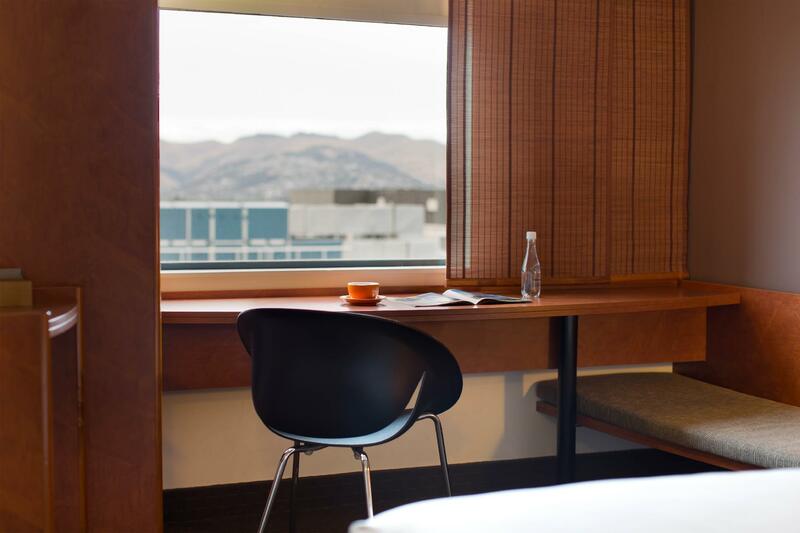 I was on honeymoon with my husband when I arrived in Ibis Christchurch. It was almost dark at that time. Receptionist greeted us very well and also they offer me a room number on 4th floor. I was surprised with the room, cleanliness and also the facilities inside the room. All we expected was there. The location of the hotel also nearby the food stores and also mini-supermarket, was easy to find any snacks, drinks and etc. Also we impressed with the breakfast, completed menu buffet and we were so happy. 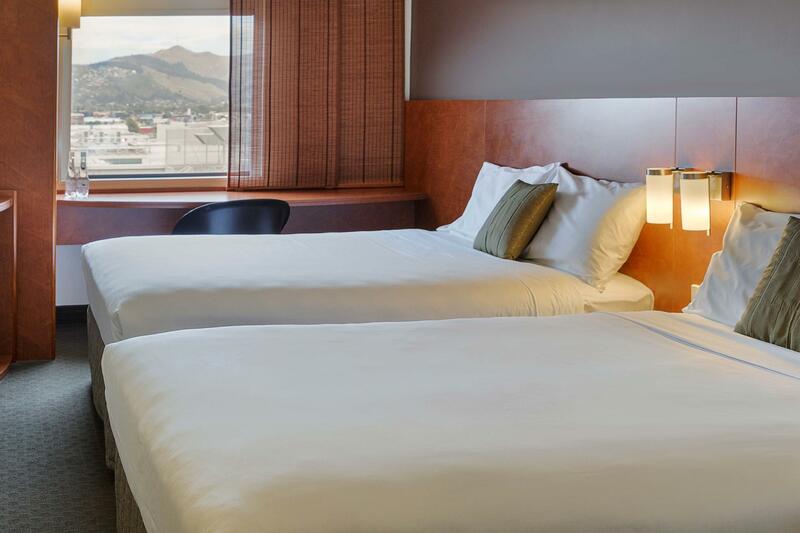 We will always choose Ibis Christchurch for the next visit. A friend and I stayed in a twin room one night, and a double room when we were back in christchurch. The location is convenient and an easy walk to restart mall, shops, bars, etc. The room came with a kettle and cups, ironing board and iron, spare blankets and a tv. That was enough for a single stay overnight. Excellent location close to bus stops and main strip. Restaurant was helpful in ordering a custom meal, very quiet even during the day (we got in very early, so slept through the morning). Prices reasonable, but had to pay NZD$40 for early checkin (7am). Would have been nice if this could be waived as we were only staying one night, but an understandable policy. Location- the hotel is right bang in the middle of Christchurch. Close to botanic gardens and restaurants. Staff are friendly and welcoming. Comfortable hotel! The hotel is basic but comfortable. The best aspect of this hotel is its location. 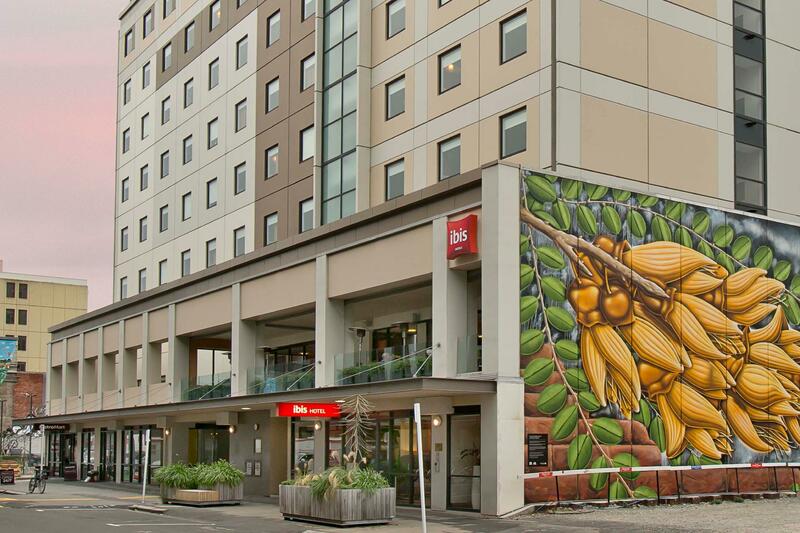 Although Christchurch is going through a phase of redevelopment, the hotel is still situated close to the botanic gardens and is short walks from the newly emerging restaurants that are popping up around the city. Staff were great and provided helpful information about the city which was difficult to navigate given the construction that was taking place. Location is very central, walking distance to Botanical gardens, shopping, bus terminal. its along the approved "begging street". No reason for tourist to choose this option.